Join Toptalers around the world as we gather for Global Coworking Week 2019! Toptal members and guests are welcome to cowork — or just stop in to say hello — Friday, Apr 26 between 08:00am and 08:00pm. It’s an ideal opportunity to strengthen connections with local professionals. 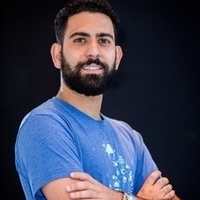 Your host is Marco Andrade, a Toptal QA Engineer and Community Leader for Belo Horizonte.